Well, I have done it. I have written a series. It was only three books long and might possibly be better termed a trilogy, but I’m not about to split hairs over that. Not when the entire endeavor was so difficult. Never have I been as glad to reach the end of a book as I was a couple weeks ago when I finished Caroline’s Censure! What’s so difficult about writing a series, you ask? Well, for starters, I like writing about Darcy and Elizabeth. I don’t enjoy focusing so much on minor characters. For me, “D & E” are the whole reason for writing JAFF. One of my best friends feels very differently. 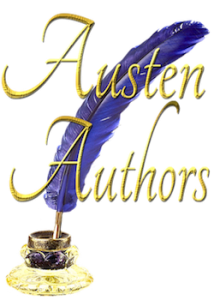 She feels restricted by Darcy and Lizzy and prefers to write about minor characters. She has several series out and is very good at writing them. Another thing that makes it hard for me to write a series is that you have to do a whole lot of planning. As I said in an earlier post, I’m a pantser. I can’t plan a story to save my life. 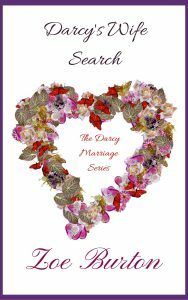 To write a successful series that rotates around one couple, you have to know where you are going ahead of time. One more issue for me, and I suppose it’s related to the planning thing, is that I can generally focus on only one book at a time, and one set of adventures. 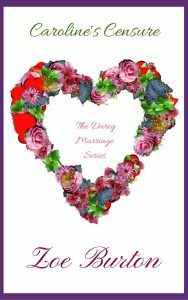 What I did for the Darcy Marriage series was to get Darcy and Lizzy together like I always do, and then have them deal with one villain or set of villains per book. Finally, I really do not know what I am doing when it comes to writing a series. I suppose everything I have said so far is just simply summarized by this statement. 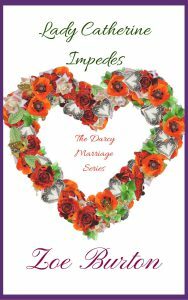 I know that I made mistakes with Darcy Marriage. In all three books, I made mistakes. Many people did not like Mrs. Bennet and her total hatred of Lizzy in Book 1 (Darcy’s Wife Search). Some did not like how I handled Lady Catherine and Anne in Book 2 (Lady Catherine Impedes). I was accused of not giving a complete book for that one, as well, when, in fact, the main conflict was resolved. That person called me a scammer. I’m not really sure how I could have fixed that, except for having Caroline show up earlier in the story. So how do I plan to fix these problems? For one, except for one more book in the racing series, I’m not sure I’m going to try another one. 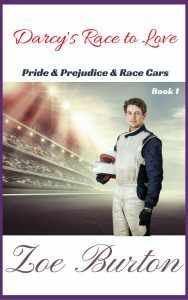 Both Pride & Prejudice & Racecars and The Darcy Marriage Series are novellas, and short ones at that. I prefer to write longer books. Not epic novels, but in the 50,000-70,000 range. What I intend to do is write a novel and see what happens. If it lends itself to a sequel, then I will write one. And, if that sequel lends itself to another book, I will write a third, and so on. What I will not do is write only novellas. Nor will I write with an eye to it being a series. Obviously then, I won’t advertise the book as one, either. If it happens to turn into a series, great! If it does not, oh, well. I know that I have a bit of a mental block about series. I have read them before—as a teen, I read the Wagons West series by Dana Fuller Ross and loved them. However, I missed a few, and this is the root of my dislike for series. If you are not vigilant or, (as is far too often the case for me) don’t have the extra money to buy the book when it comes out, you’re screwed. You’re left hanging. I hate that. Also, far, far too often, an author takes years to write the next book in a series. I don’t want to be that author, and I’m old enough to know that we can’t predict the future. I really had to work on that mental block to get through this book, let me tell you. I’m grateful for every buyer who liked the books and didn’t think I was a scammer for writing my first series as I did. I’m even more grateful for every reader that I did not lose in this process. 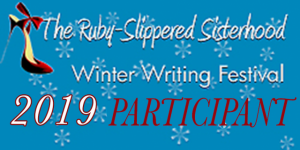 I have learned from the experience, and I will take those lessons with me as I move forward in my writing journey. It was a different set of stories. I was okay with them because there was resolution in all of them. I especially liked how the girls teamed up against their mother for the same reason. I loved the forgiveness angle written for two truly unlikable characters – Caroline and Mrs. B. Anne and Mr. Collins had resolution in this last book too. Loved how Penelope stood up for herself.